Give your child's bedroom a stylish makeover with kinfine’s juvenile medallion print chair. 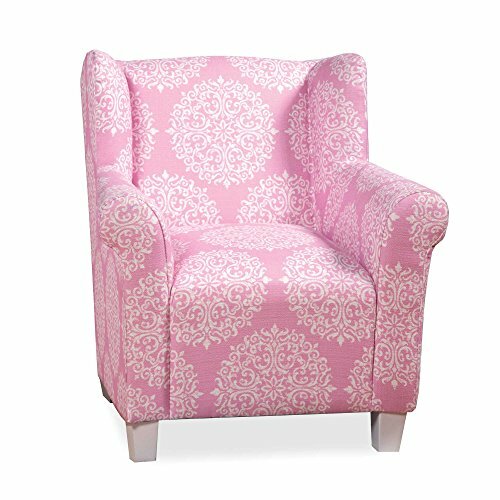 The trendy pink chair is absolutely perfect for your little Princess. This adorable chair features a unique medallion print, cushioned with foam for extra comfort, and has a solid wood construction for extra durability. Complete the look with kinfine’s pink medallion print twin size headboard and pink medallion print storage bench/settee. Some assembly required. Dimensions 23"L x 24"W x 25.25"H.
If you have any questions about this product by HomePop, contact us by completing and submitting the form below. If you are looking for a specif part number, please include it with your message.